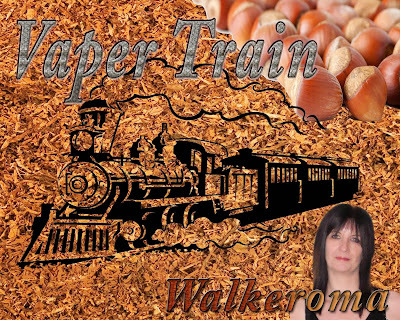 This is a written review of 'VT Butterscotch' created by James and Jade from Vaper Train, who own a web based E-cig store, situated in Wellingborough, Northamptonshire. My opinion of this juice will be my true and honest opinion as always. The flavour I am reviewing is 18mg 50pg/50vg. I am using a dripper at 1.o ohm on my nemesis, with a fresh battery set at 4.2 volts. Butterscotch what can I say, this was inspired by one of my childhood favourite deserts. This one, lets say, its almost angelic. On opening the bottle, A creamy caramel, butterscotch, with the aroma of brown sugar, butter and a light hint of vanilla cream. Butterscotch is quite similar to caramel or toffee but for butterscotch the sugar is boiled until the soft stage, where as toffee is boiled until the hard stage. There is a difference in flavour due to the ingredients used and the time of boiling. 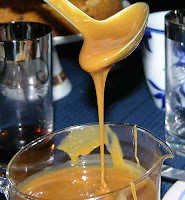 It is a type of sweet confectionary, but using other ingredients such as cream or vanilla, it can be made into a rich syrupy sauce for over icecream or puddings. There are many variants in the use of this flavour, and in this e-liquid recipe, it is more of a creamy butterscotch sauce. The aroma is truly delectable. The first butterscotch I ever remember having, was at the SECC in Glasgow, where my parents took me to see the circus under the big top. There were side stalls with your usual games, popcorn carts and a large enough funfair, selling all sorts of wonderful foods, candies, furry toys and memorabilia, and one In particular I wanted to try, were the giant pancakes, freshly prepared while waiting, with lashings of butterscotch sauce, poured over the pancakes, with fresh raspberries bundled on top, and a dollop of thick whipping cream, sprinkled lightly with cinnamon. The memories of that alone were worth while remembering. It was simply delicious. The aromas of freshly cooked doughnuts and hotdogs, and the magic of the lights were unforgettable. I was truly immersed in a world of wonderment, delighted by the smells of the burnt sugar and butter, as I awaited this memorable dessert. It was a fantastic day at the circus, and one that will stay with me forever. On the inhale, Mmm, this was deliciously creamy. It was light and smooth, and not overpoweringly heavy. There was no strong taste to this at all, instead it was very mellow, coating my palate and only slightly, tickling my tastebuds. On the exhale, smooth and creamy butterscotch, slid gently back over my tastebuds, and left a mild, lingering flavour for moments afterwards. 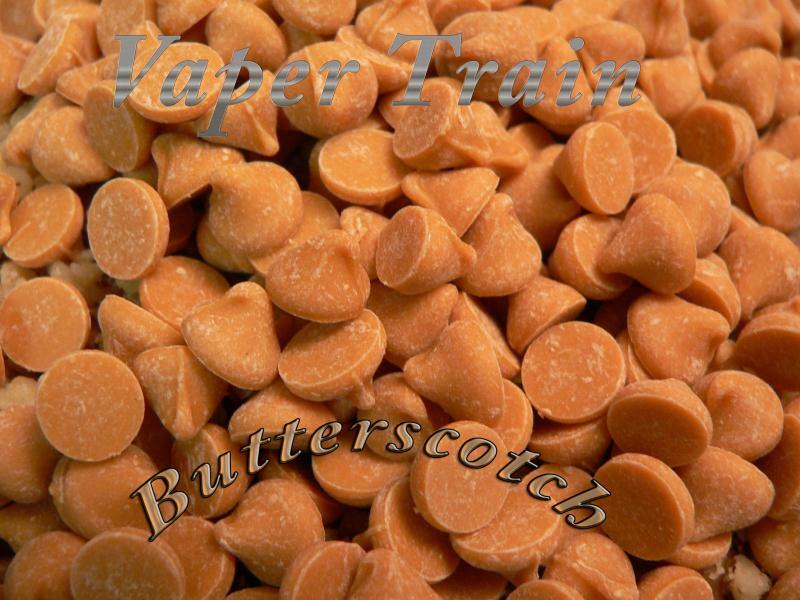 I must admit James and Jades Butterscotch is the nicest I have ever tried, and I have tried quite a few to date. This isn't an overpowering flavour, and I would be happy to vape this one all day. It was sweet but not overly sweet and a very satisfying vape. I would like to see a touch more flavour in this one, but all in all it is a very pleasant vape. 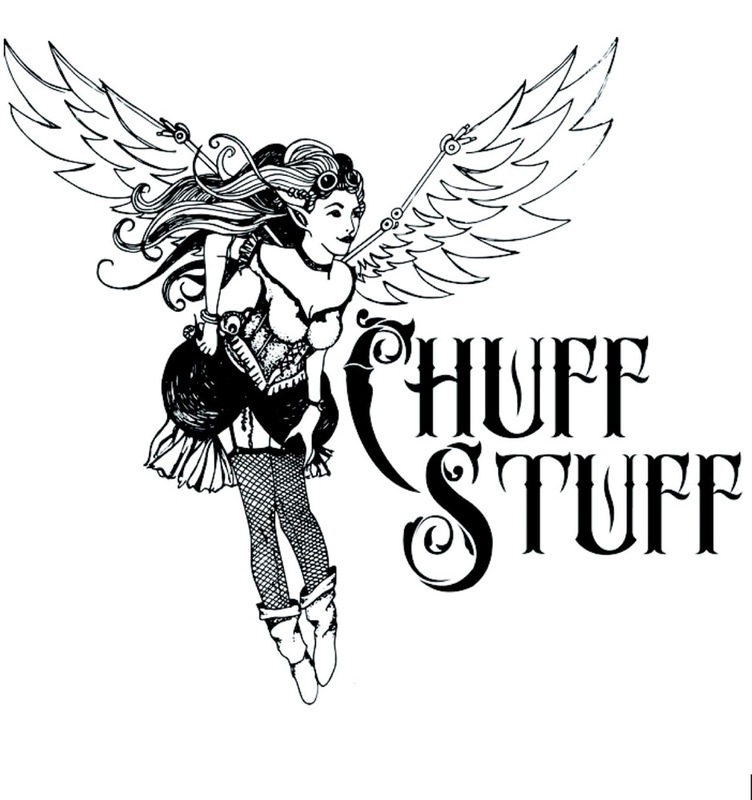 Would I vape this juice again, hell yes, I would definitely buy it again, but in a 50ml bottle. The flavour was light, creamy and satisfying, the throat hit was perfect for an 18mg juice, and the vapour production was extremely good, with it being a 50/50, pg/vg blend.